Found 2 file extension associations related to BitLocker and 2 file formats developed specifically for use with BitLocker. 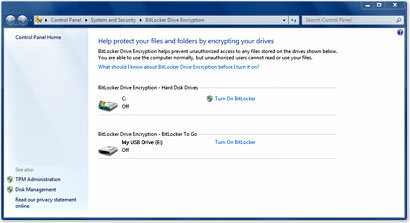 BitLocker is data encryption software distributed with the Microsoft Windows 7 and Windows 8 operating system. If you've got information on your PC that you need to protect, you can help prevent theft or loss by using BitLocker data encryption to put a virtual lock on your files. If you need more information please contact the developers of BitLocker (Microsoft Corporation), or check out their product website.